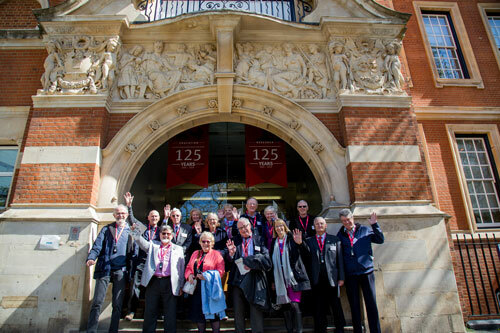 The class of 1969 return to City as part of the Golden Anniversary Alumni Celebration. By the end of 1969, man had landed on the moon, Richard Nixon had become president of the United States of America and The Beatles had just released Abby Road, but it was also the year that 395 students graduated from The City University, as City was known back then. 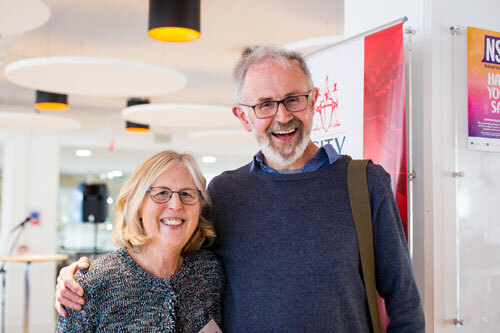 Among those graduates were Dr Jane Catchesides, (BSc Ophthalmic Optics, 1969 and PhD Visual Science, 1972) and Martin Catchesides, (MA Economics, 1969), a couple who met at City as part of the Students’ Union committee. Martin said: “We were organising the Christmas party for the elderly in Islington and there were a few jobs that no one wanted to do, but then in came Jane who had lined up all the decorations and balloons. Also at the celebration was Eur Ing Doreen Pechey, (BSc Electrical and Electronic Engineering, 1969 and MSc Mathematics, 1987), who was the only female engineering student at her graduation. Doreen said: “There were 64 male engineers at my graduation and one woman which was me. “We all had to give our names to the speaker before we lined up and the looks on people’s faces when mine was called out as I walked across the stage was priceless. After retiring, Doreen became a teacher in engineering and mathematics, encouraging young women to take up the subjects like she did. Looking at City now she said: “I can see that a lot has changed, everything looks a lot bigger.